How often have you found yourself wondering, “What’s my home worth in today’s real estate market.” Even if you have no plans to sell your home in the near future, there may be reasons for knowing its current value. Perhaps you want to update your insurance or your financial portfolio. Perhaps you may consider selling if the current value fits your present needs. No matter the reason, simply answer the few short questions to follow and one of our professional Realtors® will connect with you to provide a detailed market evaluation within 48 hours. Please include your e-mail as we will send you a link to which you will find a comprehensive market report including comparable sales, adjustments for amenities and a suggested list price. Simply enter your criteria below, and we will provide you with a speedy response. The more information given, the more accurate the evaluation. All information you provide is secure and will be kept strictly confidential. There is no obligation. 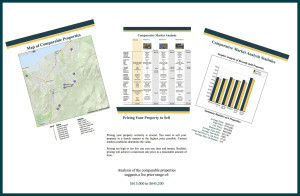 Please indicate when you are thinking of selling and if you are moving within South Lake Tahoe or relocating outside South Lake Tahoe.